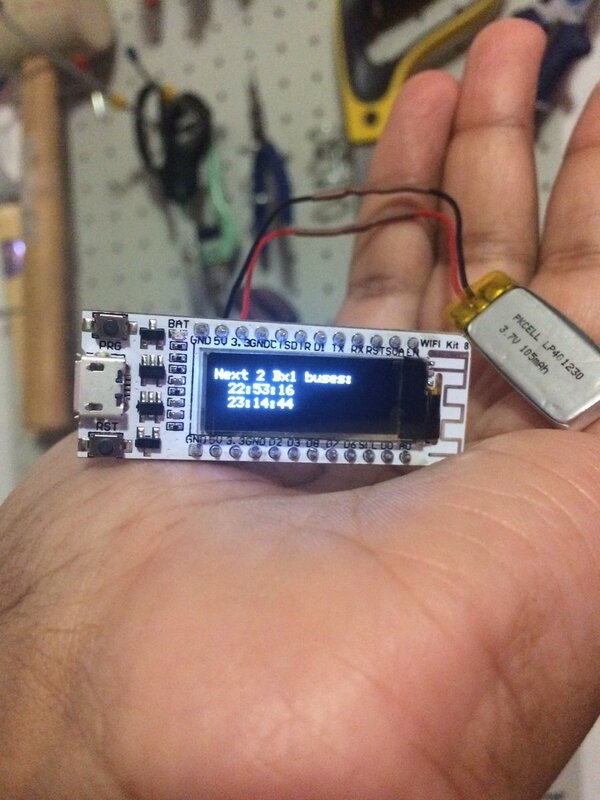 A few years back I wrote a program that pulled bus time data from the NYC MTA's "bus time" API and posted it on a wifi-connected OLED on my wall. All was well for a few years, but they changed the format and the code broke. //This is just a text search, not fancy. To isolate the time. It always felt like a kludge. I decided to pull up the JSON verson of the page and do it "correctly" using a JSON parsing library. I loaded up ArduinoJson and soon discovered that I would need code that looks like this to parse the JSON since the MTA's formatting has a lot of extra stuff in it. You get the idea. There are about 20 lines of this and none of them can be removed because the time that I want to display is so deeply nested. So, I guess I'm just wondering if there is a better way. Both of these methods "work" just fine, but I want this to be elegant. Is there any way that I could make the JSON file less complex? Am I overlooking a more direct and simple parsing method? Browse other questions tagged esp8266 json or ask your own question. Can I power ESP8266 with more than 3.5 V?